Michele has been an avid knit and crochet designer for Annie's since the 1980s. She learned to knit as a child and in her early 20s, she taught herself how to crochet. Michele now she equally loves both crafts. She has designed 100s of patterns and has been published countless times by Annie's, Better Homes and Gardens, Coats & Clark, Universal Yarn and Herrschner's, among others. Displaying 1 - 2 of 2 classes(s) found. 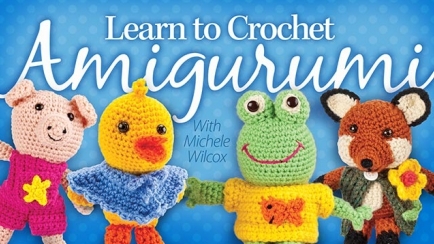 Learn how to crochet huggable amigurumi from head to toe, and stitch cute outfits for each! 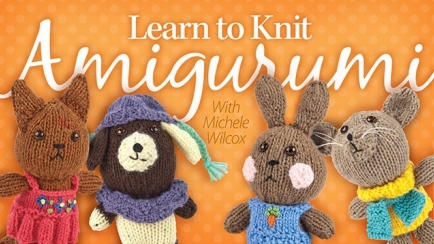 Learn the secrets of knitting adorable amigurumi from head to toe, and knit sweet outfits for each!